Philippine National Police chief Director General Ronald “Bato” dela Rosa on Friday said he was surprised just like any other Filipino when he learned of the schedule of the late strongman Ferdinand Marcos’ burial at the Libingan ng mga Bayani (LNMB). “Naisahan kayo ‘no? Ako nga naisahan din ako eh. Kahapon ko lang nalaman. Pareho tayo,” Dela Rosa told Senate reporters in jest during an interview. Dela Rosa said he learned of the plan to have Marcos buried at the LNMB Thursday morning. He said he did not coordinate with any Malacañang official nor President Rodrigo Duterte, who was then on his way to Peru for the APEC, as the PNP’s role was just focused on maintaining peace and order around the cemetery. “I presume alam niya (Duterte) dahil nag-uusap [naman sila] sa pamilya [ng Marcos],” Dela Rosa said. Dela Rosa said it was Supt. Oscar Albayalde, chief of the National Capital Region Police Office (NCRPO), who informed him of the scheduled burial. Asked if there was a deliberate attempt to hide from the public information related to the burial, Dela Rosa paused and laughed, saying it was the military which was in coordination with the Marcos family. 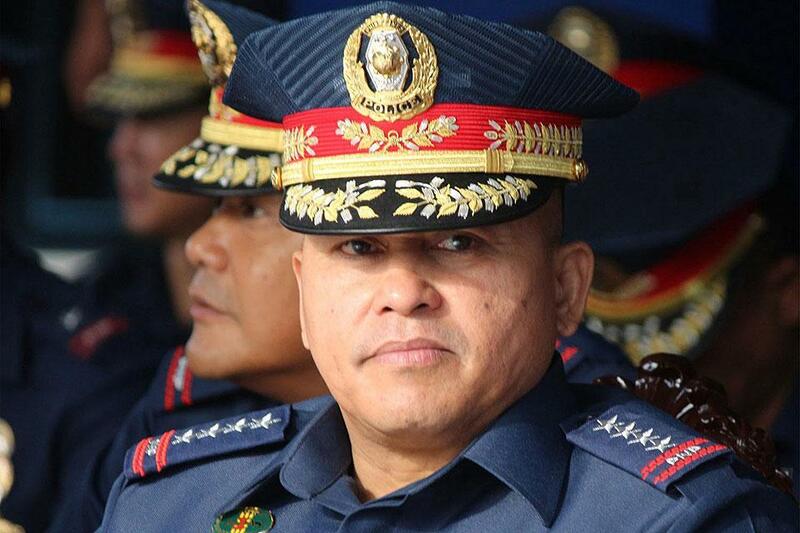 Dela Rosa said he was preoccupied with the arrival of alleged drug lord Kerwin Espinosa, who arrived from Abu Dhabi, Friday morning. “Wala naman sigurong magka-interes na patayin yan dahil patay naman diba? Doon ako nag-concentrate kay Kerwin kasi baka mamaya, mamatay na naman, mamroblema tayo,” he said, referring to the death of Kerwin’s father, Albuera Mayor Rolando Espinosa. “Basta ang samin, let us be very clear on this, yung papel namin diyan is to maintain peace and order sa palibot ng Libingan ng mga Bayani kung may ralyista,” Dela Rosa said. “As far as the specifics ng libing, bakit ililibing, kailan ililibing, saan ililibing eh ang may hawak niyan is the military, [at] yung mayari ng Libingan ng mga Bayani so sila at tsaka yung pamilya ang nag-uusap diyan,” the PNP chief stressed. He said that on the part of the PNP, they have been ready since the Supreme Court (SC) dismissed the petitions blocking the hero’s burial for Marcos. He said he also advised NCRPO police deployed within the vicinity of the LNMB to exercise maximum tolerance on rallyists.